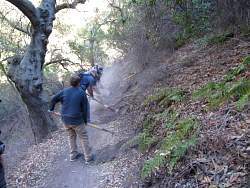 After we had finished building the drainage nicks, we cleared some of the slough off the inside of the trail. 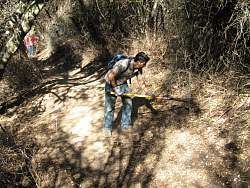 "Slough" is debris that has fallen on the inside of the trail from above. 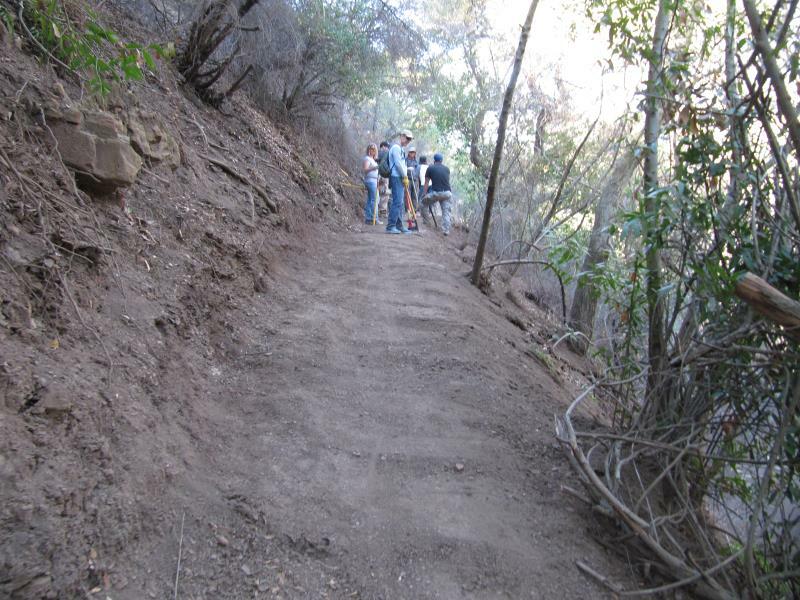 You can see that mountain bikers have already taken advantage of the extra width by riding down the middle of the trail, rather than on the outside edge.